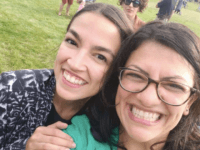 Pearl Jam Bassist Jeff Ament said that he welcomes “all interpretations” over a poster he designed that depicts a dead Donald Trump and an American bald eagle eating the remains of his corpse. 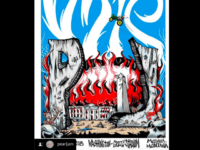 A Pearl Jam poster for a get-out-the-vote campaign concert for Sen. Jon Tester (D-MT) features a dead President Donald Trump and an American bald eagle eating the remains of his corpse. 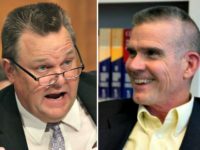 Montana rancher and state auditor Matt Rosendale told Breitbart News in an exclusive statement on Friday that Sen. Jon Tester (D-MT) “voted against building the wall” and actively opposed the Trump agenda. 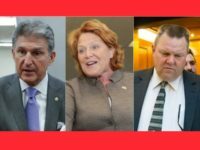 Red-state Democrats face an increasingly difficult balancing act over whether to confirm Supreme Court nominee Brett Kavanaugh. 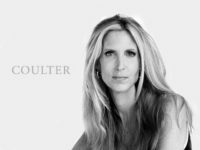 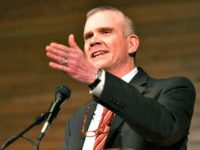 Matt Rosendale told Breitbart News in an exclusive statement on Monday that Montanans “are sick and tired of Jon Tester’s double-talk” on sanctuary cities. 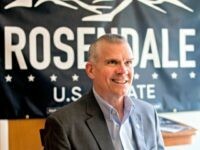 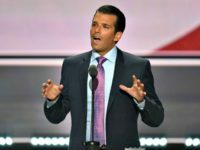 Donald Trump Jr. will campaign for rancher and state auditor Matt Rosendale in Montana to help defeat Sen. Jon Tester (D-MT), according to a Rosendale press release on Tuesday. 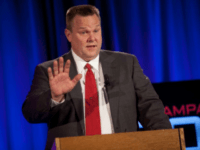 Just over two weeks after the June 12, 2016, Orlando Pulse nightclub shooting, Sen. Jon Tester (D-MT) supported Sen. Dianne Feinstein’s (D-CA) push for an expansion of gun control that would violate due process. 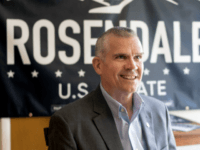 The campaign of State Auditor Matt Rosendale, the conservative front runner for the Republican nomination for the U.S. Senate seat currently held by Sen. Jon Tester (D-MT), released his first ad on Friday focused on the need to deliver a “buzz cut” to federal spending.